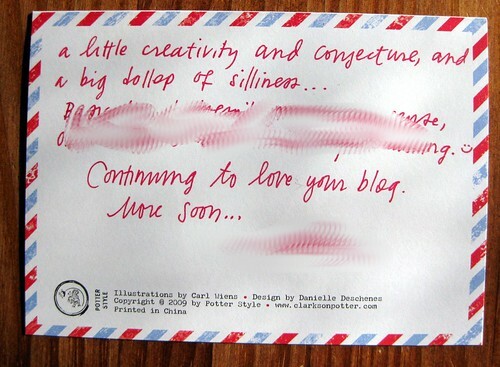 I'd love any card from Carolee of Make Every Day a Good Mail Day and PodPost (as in, one of the amazing authoresses of Good Mail Day itself), but this one is particularly meta-mail-alicious. 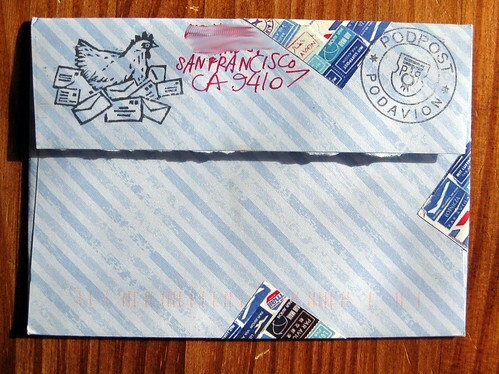 As if the envelope isn't cool enough already, dig that rubber stamp of a chicken on a nest of letters! 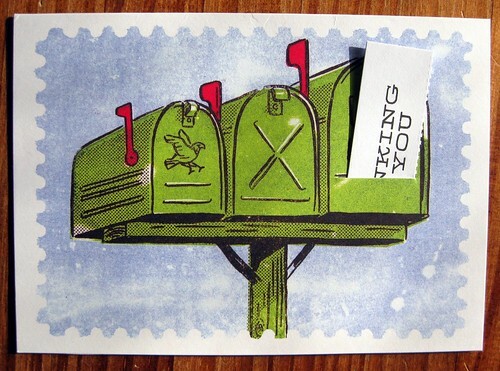 I am predisposed to like any card with a mailbox on it, and not only did this one have a little slot where you could put in various included sayings, it's also edged to look like a stamp. I took a close-up photo of the card info, but don't be thinking you can just whip on that website and find out whatever you want to, because it's a #$^@#%$ division of Random House and deeply ridiculous to navigate. I couldn't find a damn card set, and I know they make a ton. 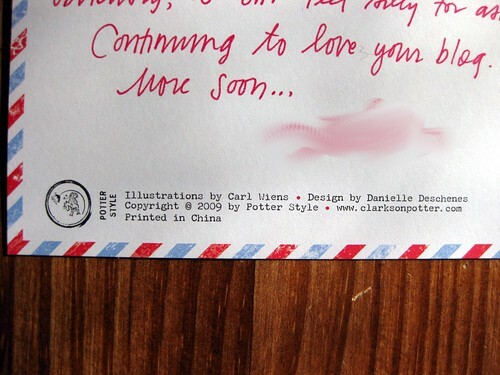 So pooh on you, Clarkson Potter / PotterStyle printed in China / Division of Random House publishing, if your website made more sense (hello, I search for stationery and I get two books and no writing products?) perhaps I would make a purchase. Is this why the publishing industry is in so much trouble? Sorry, rant there... just really hate bad websites. But back to the cardly goodness - this was such a treat! Gah! I just purchased a box of these cards a couple of weeks ago at the Nat'l Postal Museum (where they also sell Good Mail Day in the gift shop)! I was so jazzed to find them. There are several card designs, all of which have mail slots on the front. So glad you got one in the mail! You piqued my interest so I went to the website. On the left, click on "cards, decks and journals" and that is where all the cards and things are. I found these mailboxes on the 2nd page. Happy shopping!! Zuzu, indeed - but they are easier to find (try the search mechanism: atrocious) and cheaper on Amazon. 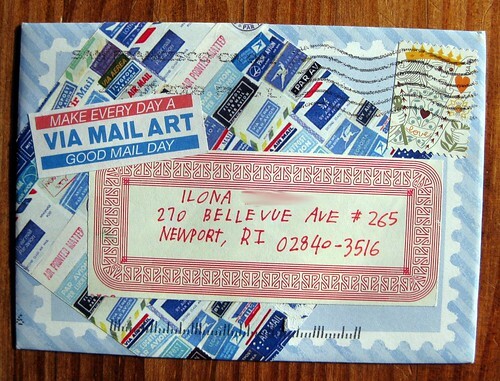 What a lovely mailbox postcard! wow those are awesome and I just love the red and blue trim via air mail . 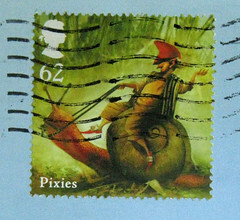 You get some of the neatest mail my dear . If it's not...I might still make a purchase hehe! Miss Maven, Do you know where we can find the chicken stamp, too cute!